My tagline on The Next Phase Blog says, “No guns, no politics, no religion.” I find myself in a quandary because it seems like everything that’s in today’s news has to do with guns, politics, and religion. So, today I’m going to comment on the big news in religion. 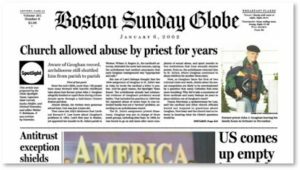 The Catholic Church is consumed in yet another round of recriminations for pedophilia and the sexual abuse of children in the United State, Ireland, and South America. The scope and depth of the problem astonishes. We know now that this horrific behavior has been going on for decades, if not centuries. On the one hand, many critics have blamed the problem on the Church’s longstanding glorification of celibacy among priests and nuns. Full disclosure: I was raised Catholic, attended parochial school for six years, went to Catechism class for another six years, did the First Fridays of the Month, and sang in the choir. I heard my share of “Better to marry than to burn” sentiments from priests and nuns who wanted to justify their own choice of vocation. I’m not so sure that the problem stems from celibacy, though. A priest who is a healthy heterosexual might break his vows with a willing adult woman. A homosexual priest will seek out a willing adult male. The vow of celibacy would not drive either to attack and molest children. Besides, it makes no difference if a priest who took that vow were heterosexual or homosexual: he’s not supposed to have sexual relations with anyone. The biggest scandal in the priesthood used to occur when a priest fathered a child with his lover, often a widow or single mother as lonely as he. This happened recently here in Massachusetts when a man exhumed the body of the family priest to prove through DNA that the man was his father. Pedophilia represents a whole different type of deviance, a perversion that revolts any mature adult. What we also know about pedophilia is that the men involved are very, very good at putting themselves in a position where they have access to children, and can gain the trust of both children and parents. We find them among private-school teachers, sports coaches, pediatricians, volunteers with children’s organizations, and religious leaders. That’s why the Boy Scouts of America have such strong rules to ensure that adults are never alone with boys. Lest you think that pedophilia is restricted to the Catholic Church, it has been discovered among rabbis and pastors as well. It exists among the Jehovah’s Witnesses and the Church of Jesus Christ of Latter Day Saints. The Fundamentalist Mormons have institutionalized it, with Joy Books—volumes filled with pictures of underage girls that adult men can marry and add to their harems. 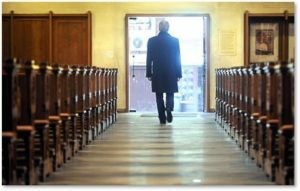 The question is whether the vocation drove men to pedophilia or whether the deviant behavior drove men to become priests, pastors and rabbis. It’s like the post I wrote earlier this week about sharks multiplying as the seal population grows. The sharks go where the prey is plentiful and so do the pedophiles. A predator does what predators do. The most recent U.S. report backs up this position. 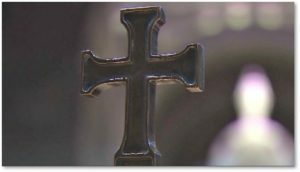 The Pennsylvania Report states that some priests ran a pedophilia ring in which they took pornographic pictures of boys. They marked some victims with the gift of a gold cross so others in the ring could prey on them. This sounds like the clerical version of the websites that pedophiles use to find and trade the young people whose lives they will ruin without a shred of empathy or guilt. As with any form of sexual abuse, however, the crime includes both perpetrators and the enablers. Some enablers, like those on Harvey Weinstein’s staff, locate the desired victim and bring him or her to the hotel room or cabana where the abuser is waiting. Others, as we have seen so vividly in the Catholic Church tragedy, become accessories before and after the fact. Bishops move an abusive priest into a new parish, knowing that he has raped young people in the old one. They turn a blind eye to the undeniable likelihood that he will probably commit the same crimes in the new parish. This group includes Bishops and Cardinals, enablers by function and accessories under the law. Society as a whole and the Catholic Church in particular, have to put an end to both the abusers and the enablers. Regardless of whether it’s pedophilia or sexual abuse of adults, we have to make the penalties for supporters so severe that people will think three times before just following orders. They should have to worry about going to prison, not just keeping their jobs. And we have to remove the statute of limitations on these crimes completely. It takes many years for victims to break free of the humiliation and guilt that follows abuse and admit what happened. This allows the pedophiles to escape punishment. By the time they are “outed,” the statute has expired and they go free. Will the Catholic Church Survive? I don’t know how the Catholic Church will resolve this issue and put a stop to child abuse. I don’t even know if there will be a Catholic Church left when this is over. I have three siblings and none of us go to Mass any more. Most of my cousins don’t, either. More of the faithful drop out every day. I do have this suggestion for Pope Francis. If you need to raise money to compensate the victims and pay legal fees, don’t ask Catholic congregations to donate the money. 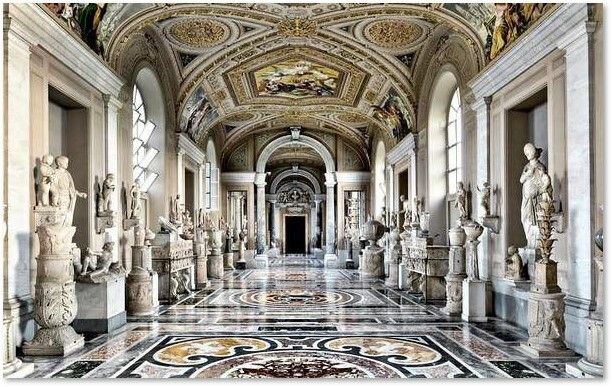 Look at what you have in the Vatican Museums. Among the 70,000 of pieces in the museum’s many collections (only 20,000 of which are on display) you must have some that are expendable. Cull the Egyptian, Greek and Roman pieces, for example, and put a package of sculptures up for auction. This entry was posted in Health & Safety and tagged Catholic Church, Church of Jesus Christ of Latter Day Saints, Fundamentalist Mormons, Jehovah's Witnesses, joy book, pastors, pedophiles, Pedophilia, Pennsylvania Report, Pope Francis, rabbis, Vatican Museums by Aline Kaplan. Bookmark the permalink.